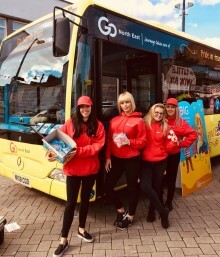 The Go North East bus played host to fun face painting. Guests were invited on-board the bus during Sunderland Pride. The Go North East team at this year's Sunderland Pride.